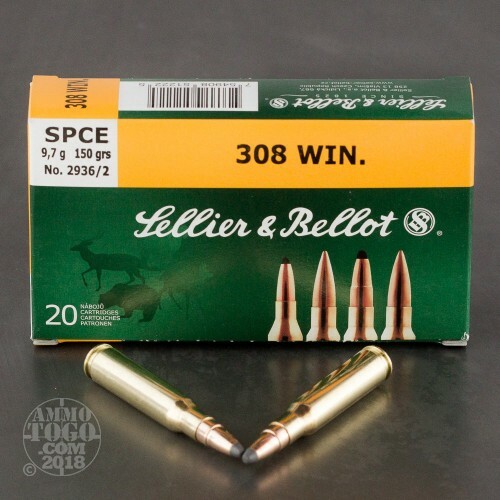 This 308 Win cartridge by Sellier & Bellot features an expanding 150 grain soft point cutting edge bullet. It’s a lot like your standard semi-jacketed soft point, but because its lead core isn’t completely locked in by its jacket it tumbles far less during penetration so that the damage it causes is more the result of penetration -- hence the “cutting edge.” Its ability to penetrate deeply makes this bullet a great choice for medium-sized game, and won’t let you down while you’re hunting thicker skinned animals as well. 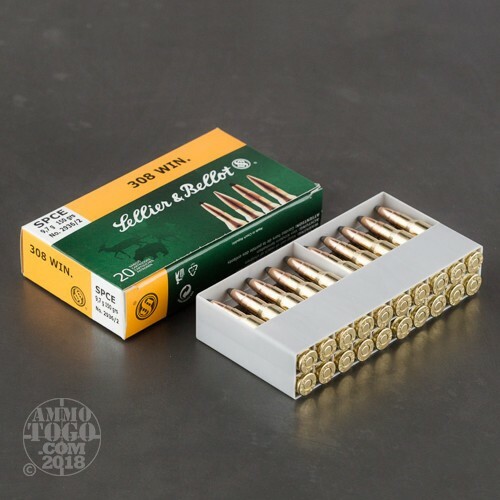 This round’s bullet’s copper-zinc jacket is nice and hard, so it will cause almost negligible fouling in your rifle’s bore until it goes on to penetrate hide effectively. 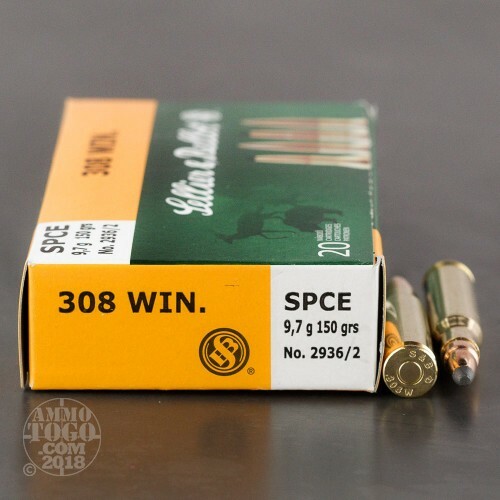 This is an accurate round with a 2,789 fps muzzle velocity, and you can count on its flat trajectory while you’re hunting distant game. 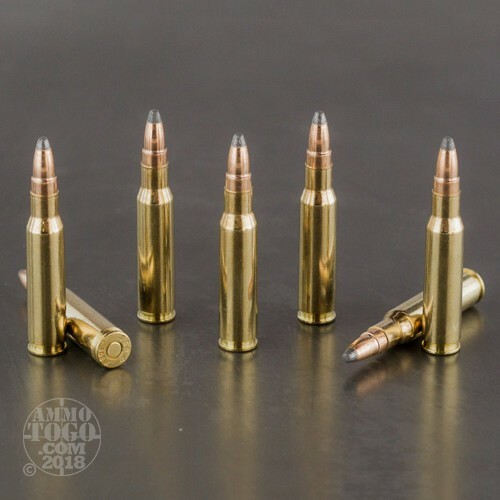 Sellier & Bellot’s factory fresh brass casing will complement any handloading project nicely, and their non-corrosive primer is better for any rifle that would ignite it.